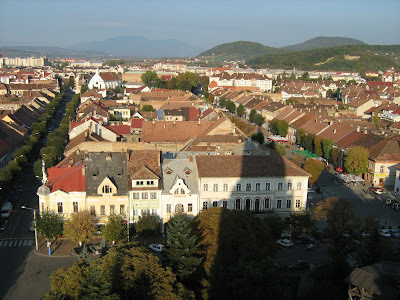 This is a recent picture of Bistritsa, and the more i look at it the more I find that in Transylvania there is little change, outwardly at least, people live in the same cities that were built centuries ago, and these haven't changed much, which can give the impression of an unchanging Transylvania. Yet, it is the people who have changed, they still have the old ways, but when I read out the lives of the people the striking thing about Transylvania is the young and old, the old of Transylvania with the past and the children of their children staying with them while their parents leave Transylvania for something better, often in Germany or other European countries. The Unchanging Transylvania? Not really.